I’m doing the happy dance because I finally finished my math activities for my October website. Whew! If I’d known how much time “Dancing with Standards” was going to take I might not have started the project last spring. Let me be real honest with you. I was stabbing in the dark with some of the math standards. I’ve been an educator for over 40 years and I have a Ph. D. in curriculum and instruction, but I was confused with some of the wording and expectations. I did the best I could to come up with meaningful activities – just like you do your best each day. However, if anyone has any insight or suggestions, I’m all ears. This story reminds us that attitude determines altitude. If you tell children that math is fun and that they are good at it, they will believe you! I hope some of you and your students will catch math fever with the activities on my October website! Here’s an article I just finished for an online magazine. It’s a reminder to shut your door and sing LOUD! I was a lucky little girl. You see, when I grew up we didn’t have television, computers, or videos. I was left to my imagination and my little record player. I can remember sitting for hours on the floor of our dining room with my red and yellow records singing “I’m a Little Teapot” and “Pop Goes the Weasel.” My mother didn’t realize it at the time, but that was one of the best activities for stimulating my brain and developing my literacy skills. She just knew it entertained me and made me happy. The world has changed a great deal over the past sixty years, but children today are very similar to the little girl I once was. They LOVE music! There’s nothing like a good song to put a smile on a child’s face. There’s nothing more rewarding than to see their eyes dance and say, “Do it again!” And there is nothing you can say or “teach” a child that will stay in their heart like a song. If children are exposed to concepts while singing, it is easier for them to learn when formally introduced. Music activates the brain. It can be used as an “indicator” to help children know what to expect and energize learning. Music nurtures phonological awareness (alliteration, rhyme, etc.). 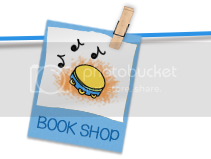 Songs and chants are a natural way to develop oral language, auditory memory, and fluency. Poems and songs lay a foundation for common knowledge. Repetition is a key to learning. It is much more fun to repeat songs than worksheets! Through music and movement ALL children can feel successful. But nobody sings anymore! There is a whole generation who doesn’t know nursery rhymes or traditional tunes. The good news is you can put music back in your children’s lives and it won’t cost you a thing. You don’t need to be a rock star; you don’t need to play an instrument; you don’t even need an iPod. Just open your mouth and SING! Sing in the morning, sing when you clean up, sing during transitions, sing at the end of the day. Sing, sing, sing! Here are some of my favorites I’ve sung over the years as a child, teacher, and parent. If you aren’t familiar with these tunes, there’s probably a video on the internet that can teach you. 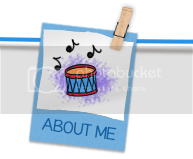 Look in your own memory bank for songs you remember from school, camp, or scouts. Share them! Keep them alive! because they’re happy, and they’re happy because they sing!” Come on! Paying too much attention to children when they tell on others can be like a wild fire that is difficult to stop. Here are a few suggestions that teachers have shared with me over the past several years. (You will definitely smile as you read some of them!) There are lots of choices, so pick and adapt the one that works best for your personality, the age of your students, and your school. A good place to start is to have a discussion about things that are an emergency and things that they think are important. Make a list on the board of “emergencies” (when someone gets hurt or sick, when someone is in danger, etc.) and “concerns” (someone calls you a name, someone gives you a mean look, etc.) Role play different scenarios or use a puppet to demonstrate what children should do. Choose one of these alternatives for children when they need to express a concern. *Pick up some old tax forms at the library. When children start to tattle hand them a form and tell them to fill it out and then bring it back to you. *Put an old cell phone on your desk. When children start to complain tell them to put it on your phone. Explain that you’ll listen to your messages later. *Take a shoebox and cut a slit in the cover. Write “suggestion box” on it and place it on a shelf with a notepad and a pencil. Discuss how children can write or draw pictures of their suggestions and place them in the box. Be sure to use the box to prompt class problem solving at least once a week. *Use a stuffed animal to listen to complaints. Explain that (Tattle Teddy, Tell Me All - Allie the Alligator, or whatever you want to call the animal) is always sitting on the shelf waiting to listen to them. *Giant Ear – Download a picture of an ear from the internet and enlarge it. Tape it to a wall and send children to the ear to whisper their concerns. *Oreo – When children want to tattle they hold open both hands. They must say two nice things about the person before they tell you the negative. Make a caterpillar head and then let one student put up a number each day. (You’ll have to backtrack here, but it will be a good review.) Make the 5’s red and the 10’s blue. How many days have you been in school so far? You can decide each day if you will count by 1’s, 5’s, or 10’s. Make a special 100 circle. *Hint! This will cover over 2 walls so put it up high in your classroom. *Let your students name the caterpillar to give it a little more personality. DRUM ROLL! 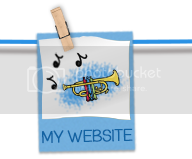 FANFARE! RHYMING READERS HAS ARRIVED! It’s terrific Tuesday, and we have a TERRIFIC, free download for you! 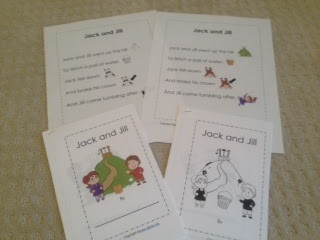 You’ll have to go to my home page (drjean.org) and click on the “Nursery Rhyme Printables” in the upper right corner. 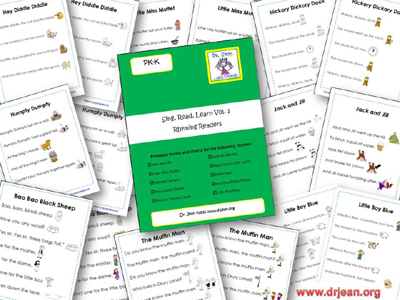 Click on the “free sample” and you’ll have books, song cards, and a free download of “Jack and Jill.” Try this one out in your classroom, and if the children enjoy it, we hope you’ll order the whole set. Vanessa Levin (pre-kpages.com) and I have been working on these Nursery Rhyme Readers for months because we know the importance of putting a book in every child’s hands. Research continually validates the importance of the home-school connection, and these books are a tangible way to put literacy in the home. FLUENCY AND ORAL LANGUAGE- Use these books for small group instruction or a large group “shared reading” activity. 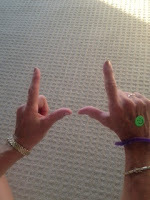 Choral Reading – Read together as you point to the words. Take a Turn – The teacher reads a line and then the children read the next line and so forth. Magic Word – Select a special word in the text. Every time you come to that word the children clap their hands or shout it out. PHONOLOGICAL AWARENESS - Make a list of words that rhyme. Circle the letters that are the same. Can the children think of additional words that end with the same sound? Identify words that begin with the same sound. Clap, jump, or snap to the beat of the rhyme. PUNCTUATION – Use a highlighter to circle capital letters and punctuation. VOCABULARY - When you come to unfamiliar words in rhymes model looking up definitions in a dictionary. COMPREHENSION – Discuss the characters, setting, problem, resolution, etc. in the nursery rhyme. What happened first, next, last? What do you think will happen next? PRINT CONCEPTS – Track the words from left to right and top to bottom. Identify letters in the rhymes. WORD RECOGNITION – Identify high frequency words in rhymes. SPEAKING AND LISTENING – Encourage children to repeat rhymes independently. Can they answer and ask questions about rhymes? KEY IDEAS AND DETAILS – Compare and contrast rhymes. Describe the relationship between illustrations and rhymes. Click here to go to drjean.org to order the complete set of Rhyming Readers. You know I’m a sucker for anything about the brain. If the word “brain” is in the title of a book or magazine article, I’m all over it. Why? The brain is where learning takes place. The more we know about the brain, the more effective we can be as educators. (I’m smiling because the more I read about the brain the more I realize a lot of this is common sense.) However, brain research validates best practices that good teachers have always employed. 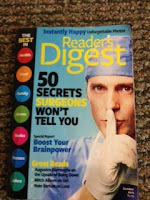 So, this week when I was working out I noticed the latest READER’S DIGEST on the shelf. Ah! Another article about the brain – “Build a Better Brain.” You might want to read it yourself, but I’ll give you a synopsis just in case. Initial research seems to indicate that memory training can actually boost IQ. Eric Kandel of Columbia University shared, “If you really work on memory by, for instance, memorizing poetry…” I shouldn’t take this out of context, but it makes sense that finger plays, songs, chants, and nursery rhymes are the essence of this in pre-K and kindergarten. Attention is another brain element that you can train. Hocus, pocus, everybody focus! Exercise for the body and exercise for the brain. You learn on your feet, not on your seat. Do I sound like a broken record? Now we’re getting down to the point of this blog. I called it napper snappers because many of you have administrators who have banned rest time. Researchers have found “that a midday nap may not merely restore brain power but also raise it.” Children need a quiet time every day. You don’t have to put out cots or mats, but 10-15 minutes with the lights off and peaceful music would be like a breath of fresh air for those little brains that are working so hard. Let the brain idle because brain rest supports creativity. “The workout the prefrontal cortex gets in bilingualism carries over to other functions…” That is really good news for children who have different languages in their home and school! I’ll skip the “Caffeine” and “Foods and Spices” because that doesn’t really relate to the classroom. 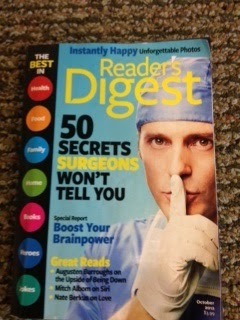 If I’ve sparked some interest, check out the October issue of READER’S DIGEST and learn more. Everyone knows THE GIVING TREE by Shel Silverstein. I used to read it to my class and I would get weepy, while they would say, “Why did he have to get old?” They just didn’t get the aging thing, but it was a perfect time to talk about all the gifts that trees give us. Dip a sponge in white paint and use like snow to make a winter tree. 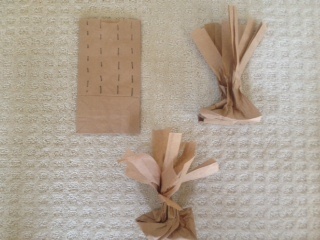 Tear pink or white tissue paper into small pieces and wad up. 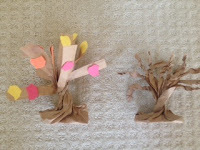 Glue to the limbs to make a spring tree. Fall Centerpiece – Here’s an idea for you if for a party this fall. Use a large brown grocery bag to make a tree. Add autumn leaves to the base of the tree or hang Halloween ornaments on the tree. Come back tomorrow and I'll tell you how to make this. I'm feeling very Martha Stewarty! Bracelet – Let children make bracelets out of pipe cleaners and wear them on their right hand. Throughout the day call attention to their right hand…right ear…right leg…right foot, etc. Flag – Trace around your right hand on construction paper and cut it out. Place it near the flag so children can visually match up their right hand and then place it over their hearts. Color words are some of the first words we introduce to children. 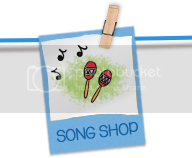 Here’s a new song children can sing as they hold up various crayons from their box. B – l – u – e.
Here’s a crayon for you. Continue sing yellow, green, purple, brown, black, white, etc. P.S. This song is going to be on my new “Move It! Learn It!” CD. 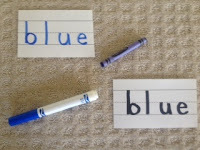 *When introducing color words, write the word with the appropriate color. After they are confident, write all of the words with a black marker. 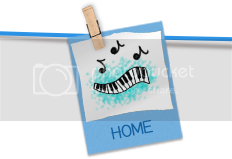 *There are tons of free graphics that you can download to make visuals for this song. Hold up a color word. Can they touch something in the room that color? Learn the signs for the various colors. Fold two sheets of paper in half and cut. Fold these in half. Hole punch 2” from each end. Insert a rubber band in one hole and slip the end of a crayon through that loop. Insert the other end of the rubber band through the other hole and slip the other end of the crayon through that loop. Encourage the children to use a different color on each page. Can they write labels for each page? Use straight and curvy lines. The details we will draw. Imagine all the little things. We’ll fill in the page. As you are in age. When we’re through, you know. *Run off a black and white copy of a picture and a color copy. Show these to the class and encourage their comments. Which one do they like best? Why? Have them draw a picture using a black crayon. Then ask them to draw the same picture using all the colors. 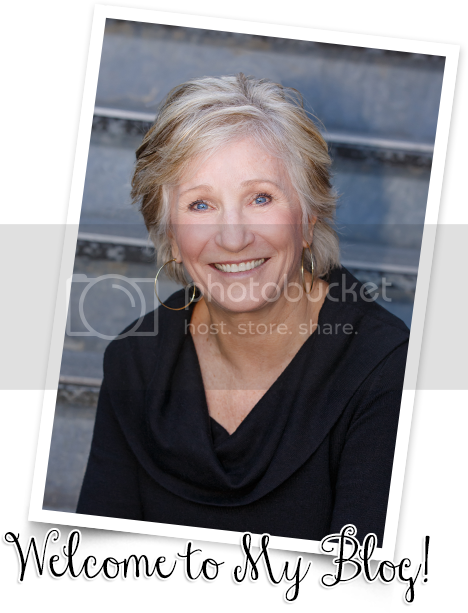 *A good rule of thumb is to encourage them to use as many colors as they are in age. If they only use two colors you might say, “Oh, are you only two years old today?” They’ll quickly return to their seats and add a few more colors! *Remind children before drawing to close their eyes and get a picture of what they want to create in their heads. Think about it before you begin drawing. *How many details can you add? Can you fill in the whole page so that no “daylight” (aka paper) is showing? 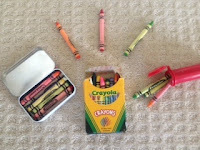 *If you have “orphan crayons” (aka crayons found on the floor) you can create a special lost and found box for them. *Altoid tins and mini m&m containers are good for storing crayons when the box falls apart. A STORY! LOOKING FOR THE STAR!